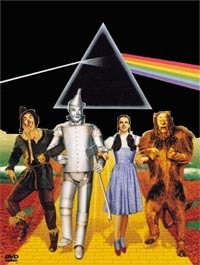 Jon looks into the pairing of the Pink Floyd’s The Dark Side of the Moon with The Wizard of Oz. Adam takes on reports of toxic school supplies and Darren discusses the Post Hoc Fallacy. This entry was posted in The Reality Check Episodes and tagged Dark Side of the Rainbow, Post Hoc Fallacy, Toxic School Supplies. Bookmark the permalink.